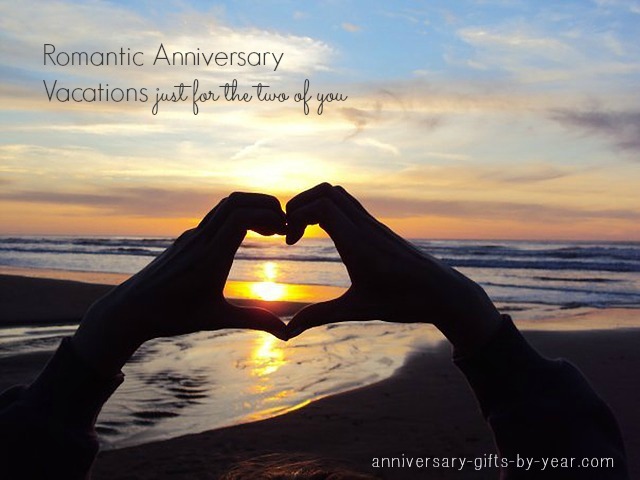 Anniversary vacation packages have to be one of the best ways to celebrate, it doesn't have to be a major one, all anniversaries are worth going away for! But we also know that finding the perfect romantic hotel can take up a lot of time, so we have found the best destinations for your Anniversary whether it is a long vacation or a romantic weekend away. Click on the area that you would like to go to, to find a great collection of hotels. When you are choosing your romantic getaway it is worth doing a bit of research especially if you are going somewhere new or far away. Find out about the area and investigate the places that you want to see. It would be disappointing to find that when you got there you are miles away from where you want to be, we have learnt from our mistakes and find that paying a bit extra for your hotel will save you the taxi or car hire and bus fares. 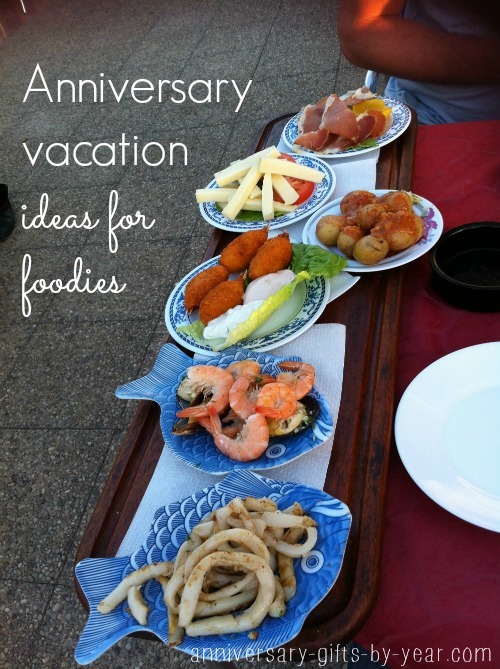 Here are ways to get the best anniversary vacations without it costing a fortune and it helps to know what it will be like when you get there too! If you have young children, your vacation time by yourselves might not stretch to a long time away so a weekend break or a night away will be perfect and feel such a treat. "If we get the chance for a night away we often end up really close to home, that way we can enjoy the time away and not spend ages travelling!" Lots of hotels have put together romantic anniversary vacation packages that are perfect for your anniversary weekend. They often have a bottle of bubbly in the room, a spa treatment, romantic dinner for two and breakfast in bed the following morning. If you are lucky enough to have more time for your vacation there must be lots of places you have said you would always like to go. Do you dream of soft white sandy beaches? 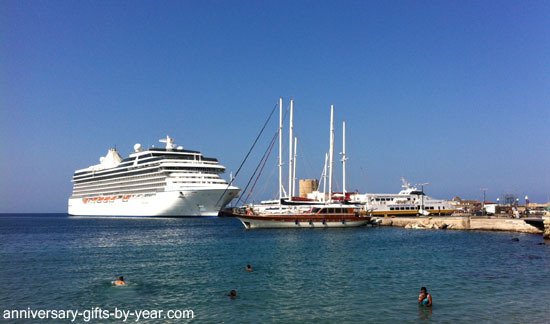 Anniversary Cruises are very popular, you can even renew your wedding vows while you are aboard! Here are some ideas to get you thinking! The Taj Mahal, India has to be one of the most romantic places in the world, it was built under Mughal Emperor Shah Jahan in memory of his favourite wife, Mumtaz Mahal. We have it on our wish list and have been told that the best time of year to visit is October, November, December when it is cooler. Paris, France has been described by many as a great romantic city, there is so much to see. We enjoyed a weekend there a few years ago, and travelled by Eurostar straight into Paris it was so easy. We managed to walk up the Eiffel Tower - no mean feat I can tell you (there was a queue for the lift), we visited the Pompidou Centre which is fantastic for modern art, the Louvre was so busy that we decided to save that for a future visit and we enjoyed lots of people watching in the many great cafes. Phuket in Thailand is another amazing place, we stayed in a beautiful penthouse suite over looking the sea. During our stay we enjoyed a candle lit dinner on the beach, our first elephant ride and many days relaxing by the pool. It is an exciting place to visit. You may want to return to your honeymoon hotel for a special romantic weekend. 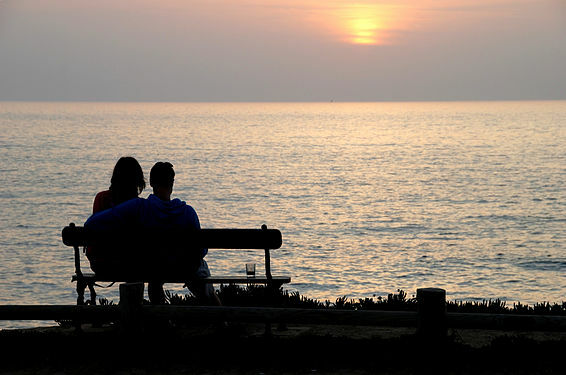 Romance is everywhere, if this year you can't quite make it to your dream getaway think about places that are special to you that are more local. Also, think about what you both love. If you are a foodie then great food will be high up on your list of what you want on your vacation. Check out the top ten places in the world for foodie anniversary getaways. Have you been to any? We have been lucky enough to try one of those! Your anniversary vacation is important and these luggage tags would make a fun start to your getaway. You can personalize them and if you are gifting the vacation as a surprise you could include them in your gift.